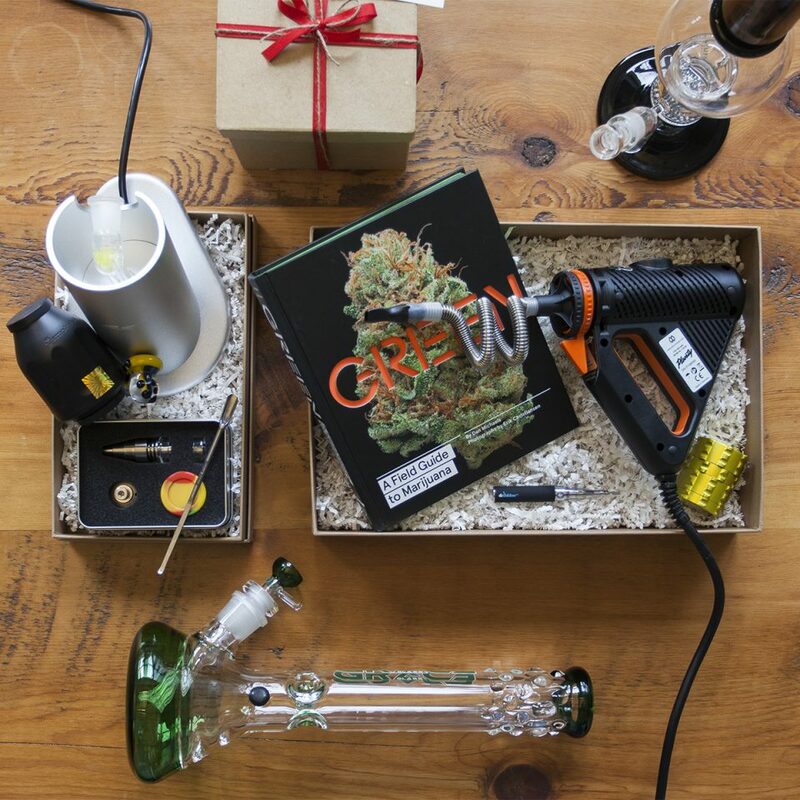 For your friends with the most discerning tastes, check out these bongs, vapes, dab rigs, and concentrate accessories that will please any advanced cannabis enthusiast. Standing at 16” high, this bong is designed with green coloring and accents along the bottom, bowl, and mouthpiece, with some cool bubble details around the mouthpiece for a nice, textured flourish. It also comes with a six-armed slitted diffused downstem for great filtration and smoother pulls. This 15” tall bong comes with matching color accents at the base and neck tube while also sporting both a honeycomb and turbine perc for top-of-the-line filtration all the way through. 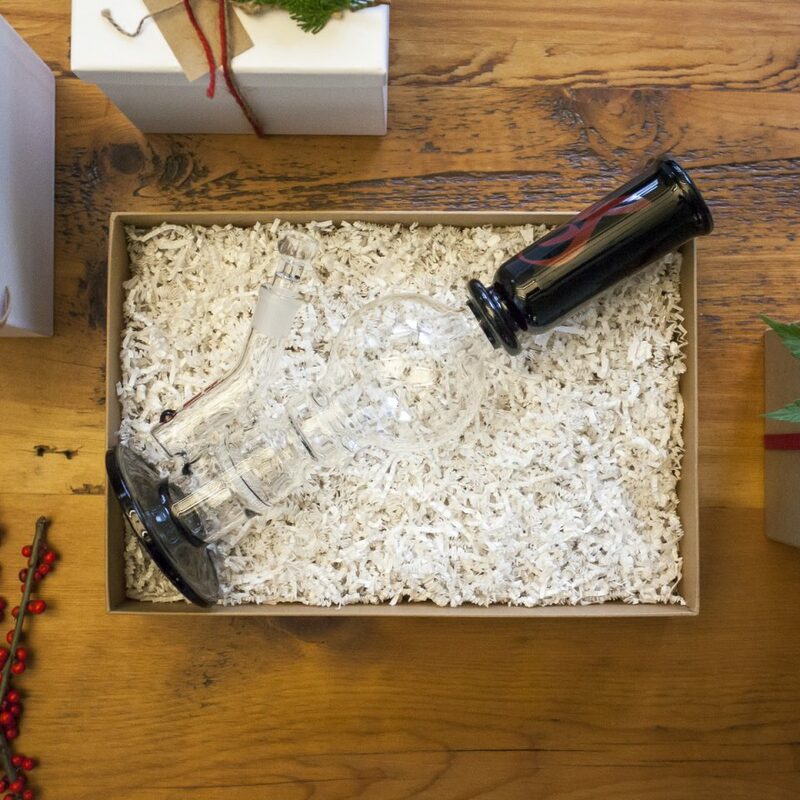 The bong itself is stemless for more streamlined hits without having to worry about any possible stem breakage. 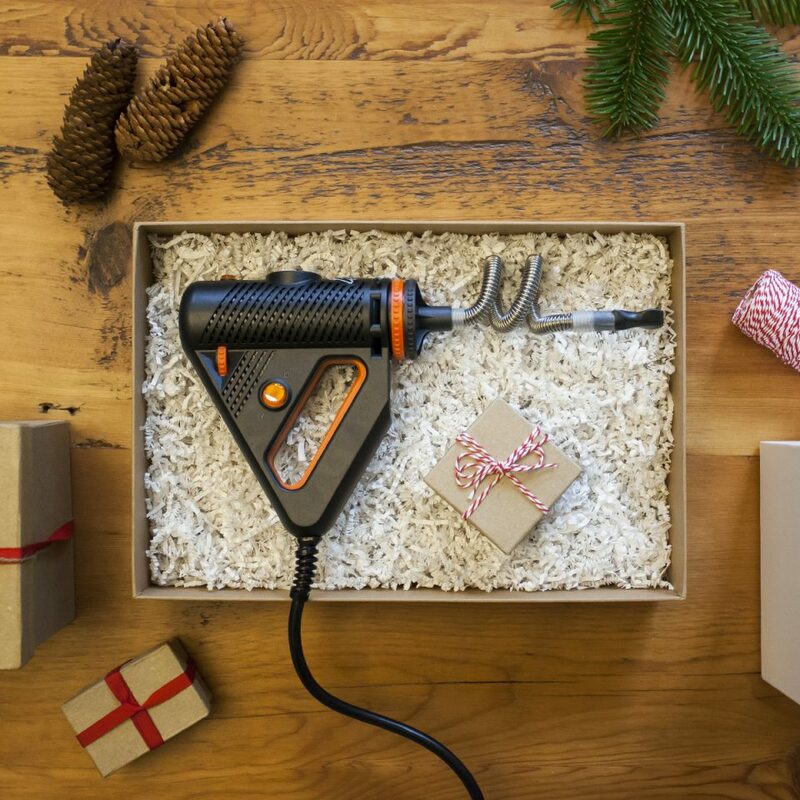 This plug-in vape provides a powerful vaping performance thanks to its sophisticated heat exchanger system that ensures efficiency and high vapor output with each use. 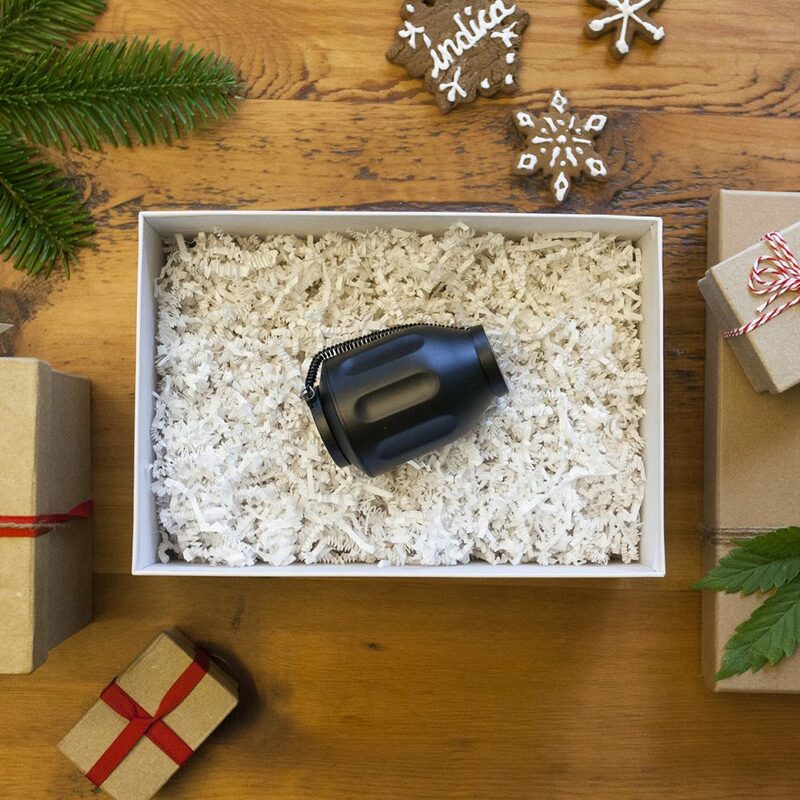 The Plenty is a great option for those who want top shelf desktop vaporizer performance with handheld convenience. 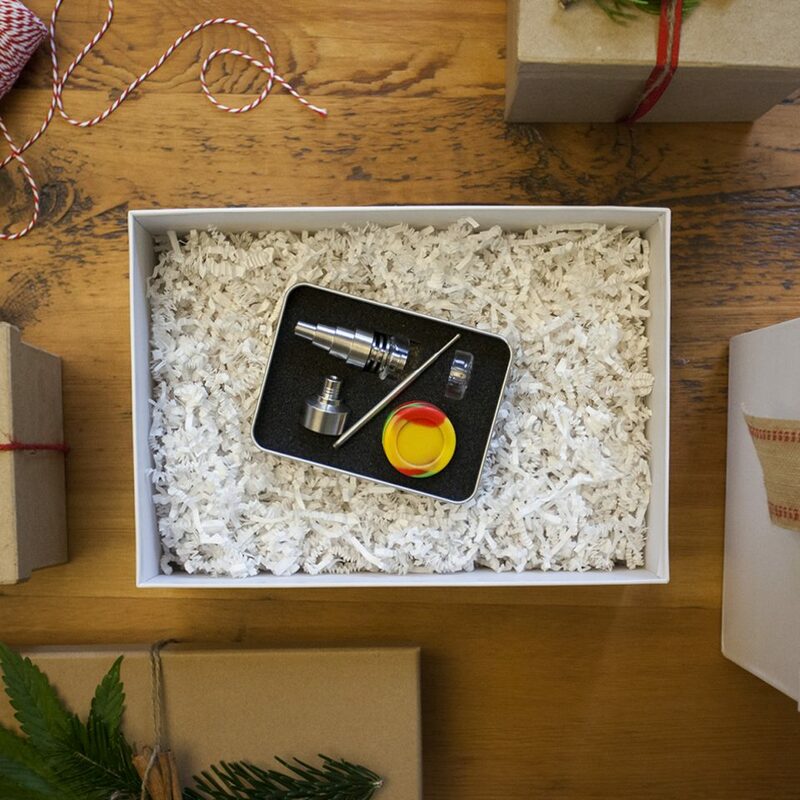 This handy little device is a must-have for any dedicated dabber. 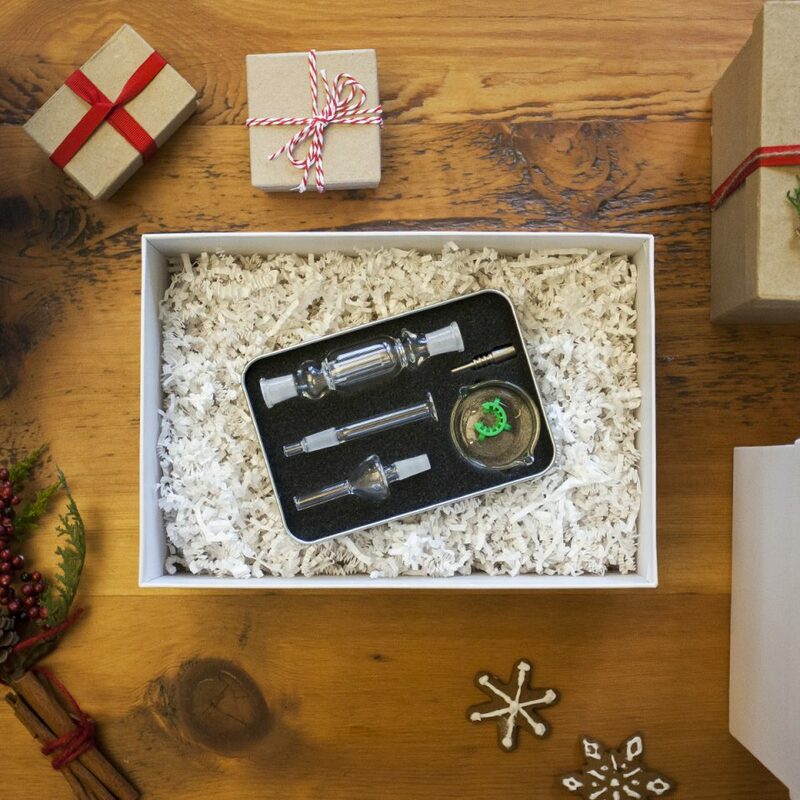 The multi-use tool involves both a quartz nail that converts to either a male or female joint and a titanium carb cap to assist with dabbing at lower temperatures for better flavor and smoother hits. Happy Daddy’s 7.5-inch “The Globfather” Titanium Dabber is made from a high-quality titanium that will stand the test the time. It features a shovel-like end that will help contain your dab once it starts to vaporize and melt. This nectar collector has a detachable neck water chamber for smooth and convenient vaping, and there’s even a glass dish included to provide a clean and clear surface to place your concentrates. This 7 1/2“ tall rig is made of an opaque white borosilicate glass adorned with bright and cheery artwork sketches that can’t help but put you in a good mood before you even use it. The puck shape of the rig also allows space for great filtration with its fixed diffuser. 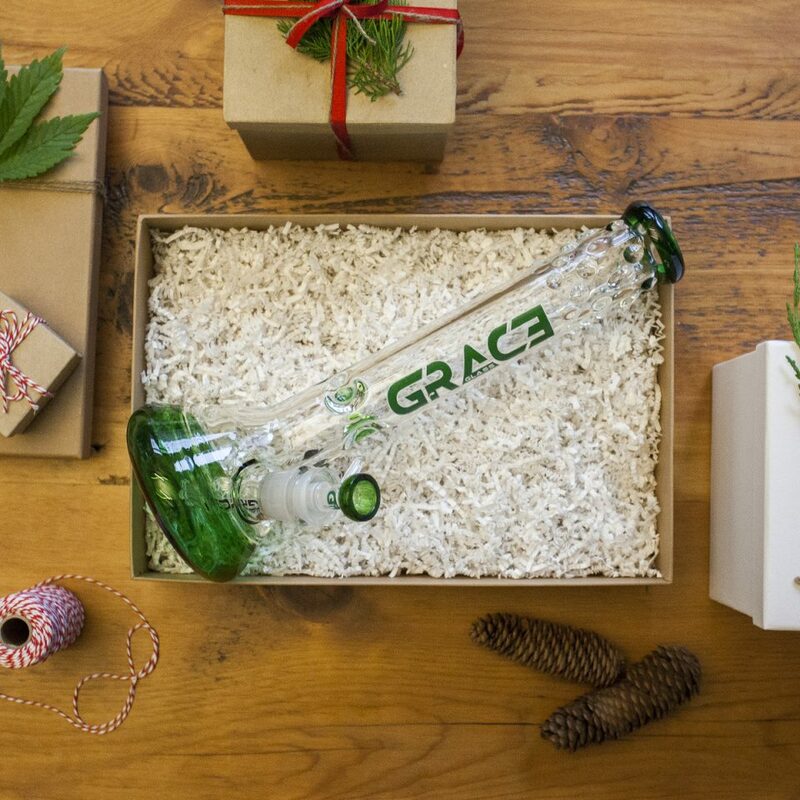 Need a little help keeping your toking under wraps? 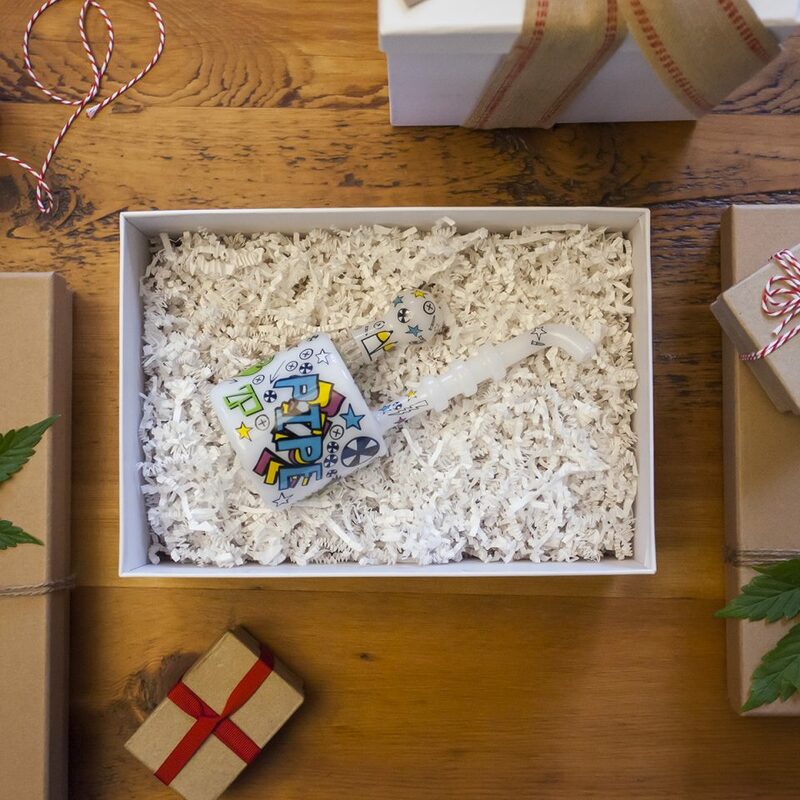 Created to eliminate secondhand smoke, the Smokebuddy also converts the smoke you exhale into odorless air, making it the perfect device for consuming your favorite herbs unnoticed. Good for up to 300 uses. Containing and managing those super sticky concentrates can be frustrating. These silicone concentrate containers are platinum-cured in order to be sturdier, non-stick, odorless, and heat-resistant. Come in packs of 5. Keep your drink cold and your hands dry with this “Unzipped” cannabis leaf-designed coozie by Rikki Knight. This insulator is made of a thick neoprene that's soft to the touch, and it also helps keeps moisture and coldness in your drink where it belongs. Fits any 12-ounce can or bottle. This comprehensive guide to all-things-cannabis covers the culture and growing practices that make each strain unique. 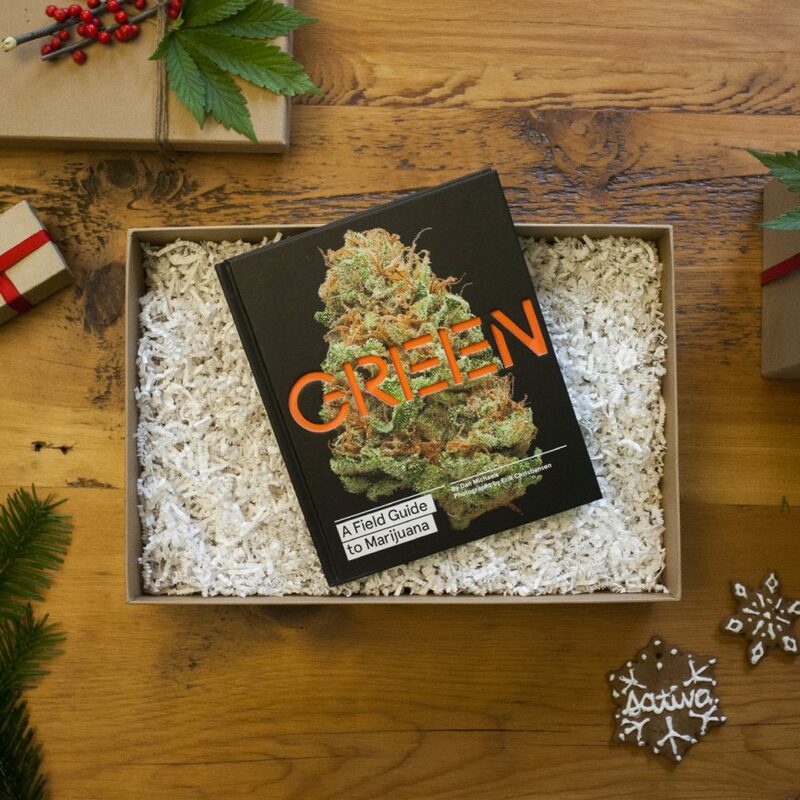 The “Buds” section is filled with gorgeous photography of 170 well-known strains as well as information about each strain’s qualities, lineage, and effects. 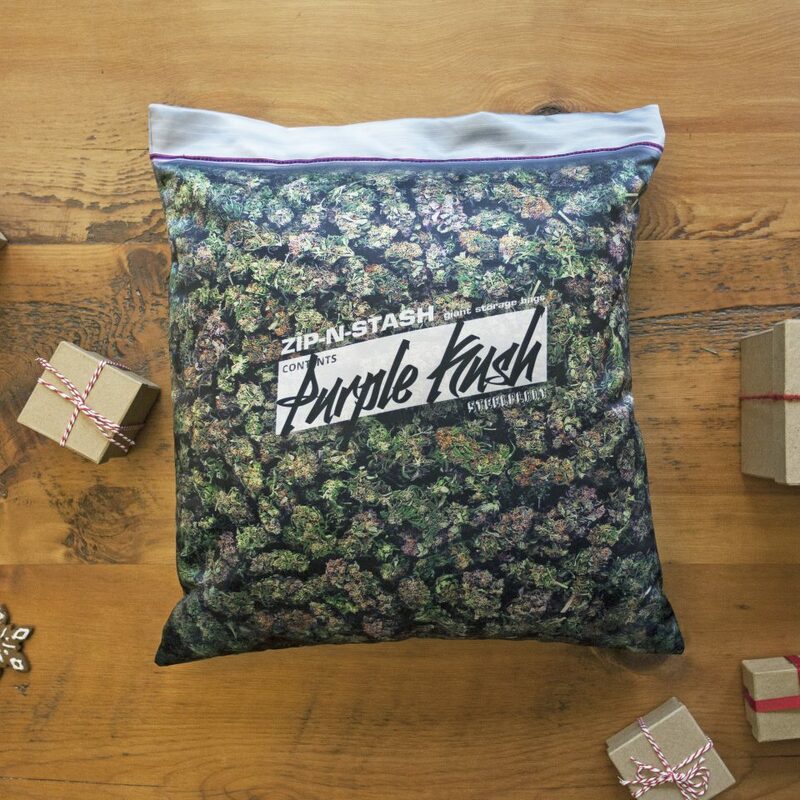 This pillowcase looks like a Ziploc bag full of cannabis, with the name of the strain written in a Sharpie-style font. It's big enough to hold any 18” square pillow, and the top of the “Ziploc” case can be unzipped to reveal an actual internal stash pocket. Available in a few different strains. 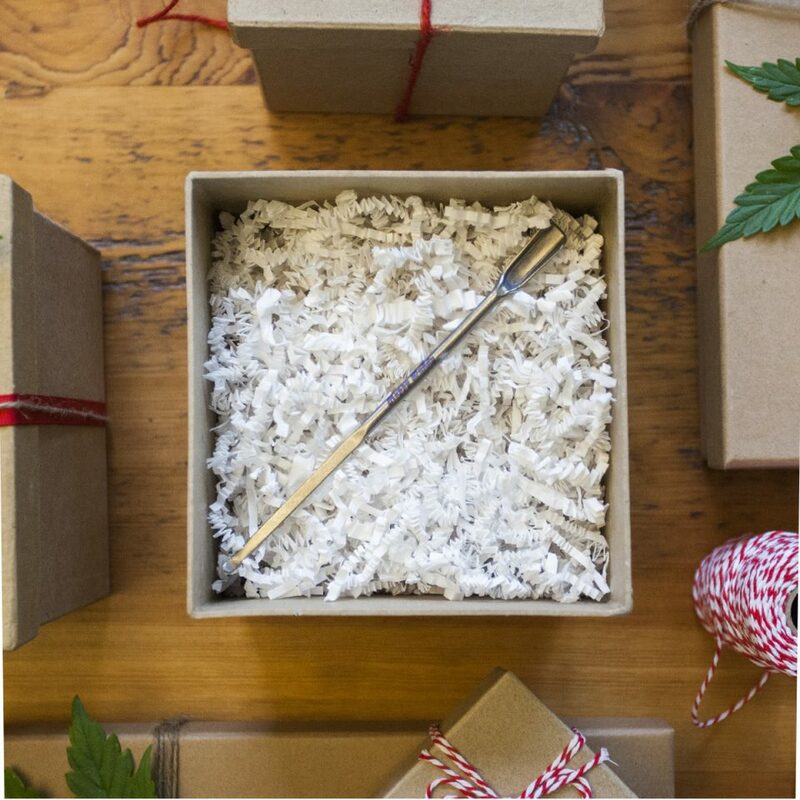 Don’t forget to check out our holiday gift suggestions for cannabis beginners, medical marijuana patients, and casual cannabis consumers — you might find something that’s on your wish list, too! Happy holidays! 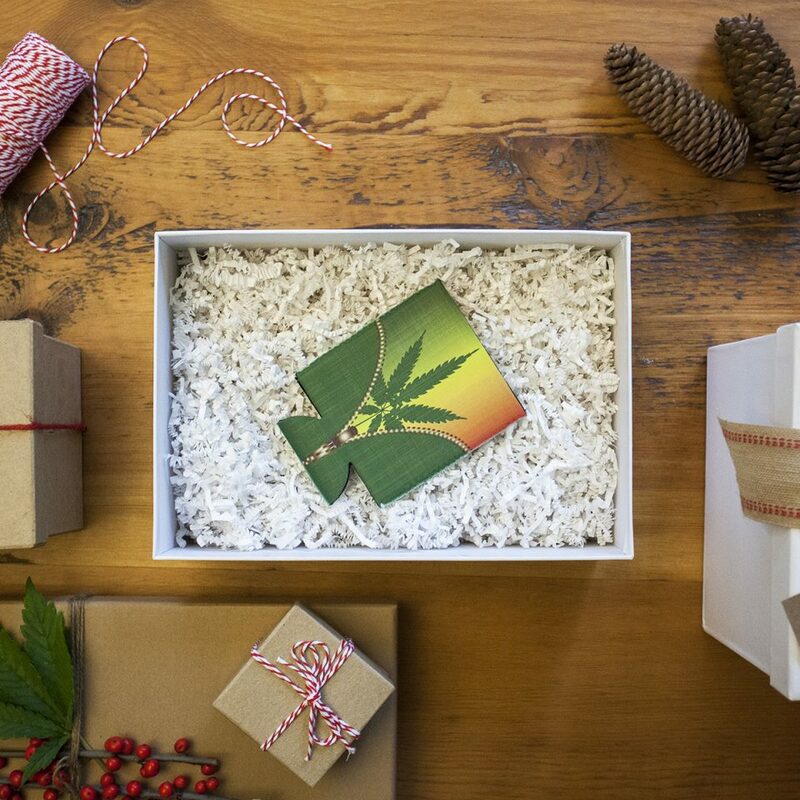 Leafly’s 2016 holiday gift guide is sponsored by EveryoneDoesIt.com – The World’s Online Smoke Shop.